Holiday Special Orders Are Open! All orders must be submitted by 4pm on Sunday, November 18th to be accepted. 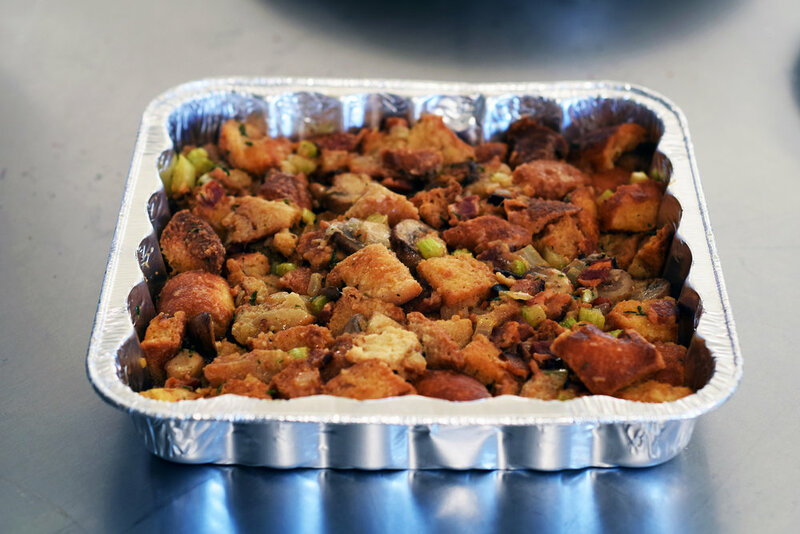 You can stop emailing us - yes, donut stuffing is back! Featuring mushrooms, bacon, onions, celery, vegetable stock, and our famous brioche dough, this stuffing is the perfect way to have donuts on Thanksgiving! Available with or without bacon . Comes in an 8"x8" tin. Sure, our dough makes for amazing donuts, but did you know that it also makes for fantastic dinner rolls? These are baked to perfection & ready to be served as-is, or you can easily warm them up at home! Each order contains six dinner rolls. A hand-picked selection of our seasonal flavors & fan favorites! Half dozens contain one of each flavor, and a dozen contains two of each. Perfect for you, the office, or as an easy Thanksgiving dessert.